At A-1 Home Care, we want to be there for your loved one when you can’t. We understand that you live a busy life and feel worried about the well-being of your Elderly or Senior loved one who lives alone at home. 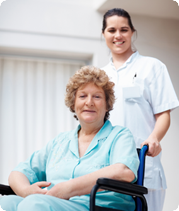 We offer caregivers, nurse aides, and companions for 24 hour live-in care or hourly part-time care services. If your loved one suffers from a specific condition such as Alzheimer’s Disease, Parkinson’s Disease, Arthritis, Cancer, Diabetes, or Incontinence, we can provide caregivers who have experience dealing with your specific case. 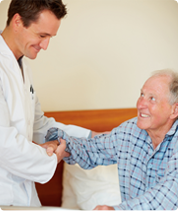 We also offer experienced After Surgery Care, Hospice Care, Child Care, Special Needs Care, and Postpartum Care. Our caregivers can assist with any specific requests you may have in the care of your loved one. Generally, we assist with personal care, companionship, following doctor orders, daily household duties, and helping your loved one live a fulfilling and healthy lifestyle. A-1 Home Care serves the communities of Costa Mesa, Newport Beach, Westminster, Corona Del Mar, Garden Grove, Irvine, Huntington Beach, Seal Beach, Los Alamitos, and others in Orange and Los Angeles County. We have been in business since 1991, have an A+ Rating from the Better Business Bureau, and Shield Accreditation. 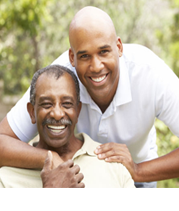 To hire a compatible and friendly caregiver in your area today, CALL us at 949-650-3800. 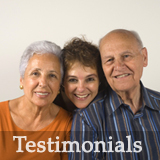 Visit our Letters of Recommendation page from all satisfied customers. Home Care Awards Awards for Home Care Services in Southern California.